This summer is going to be big. We've already got a fantastic festival season lined up, and now with the announcement of Far Out Tour 2011 it's going to get even better. For those of you who haven't heard, where have you been? The pop-punk tour is hitting venues all over the UK this August, featuring over 30 bands throughout 15 tour dates. Alter The Press! spoke to one of the organisers to find out a bit more. Within just days of the Facebook page going live, over 100 bands had applied to play, with the last count standing at 248. “Picking the bands is the best and worst bit of the job,” says Tom. “It's a bit like having to pick a football team at school, everyone is just waiting for the team list to go up!” But it won't be going up just yet. There are exclusive announcements to be made in the next two weeks on Alter The Press, but the full line-up and dates won't be released until nearer the time. Sorry. But to keep those eager fans happy, Far Out are doing a few competitions in the run up to the tour. The first, unveiled in last week's video blog, is a chance to win an Access All Areas pass for you and two friends to really get involved with the tour. “I know when I was younger I would have loved it, so I think a lot of people will appreciate something like this,” says Tom. “We just want to get people involved as much as possible.” With another competition to be announced soon, and from the feedback on the Facebook page, it seems to be working a treat. So, from the looks of it Far Out Tour 2011 is already going down a storm. And they haven't even got the official website up and running yet. With plans to make this tour an annual event, and maybe even hit Europe eventually, big things are definitely on the horizon. And does it matter that none of the bands of venues have been mentioned yet? Apparently not; the rumours of a massive headliner seem to be enough to keep people satisfied for now. Give it a few years, and Warped Tour is going to have some serious competition. 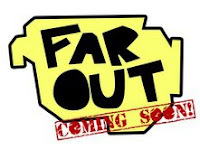 More information about Far Out 2011 can be found on Youtube, Facebook, Tumblr and Twitter.